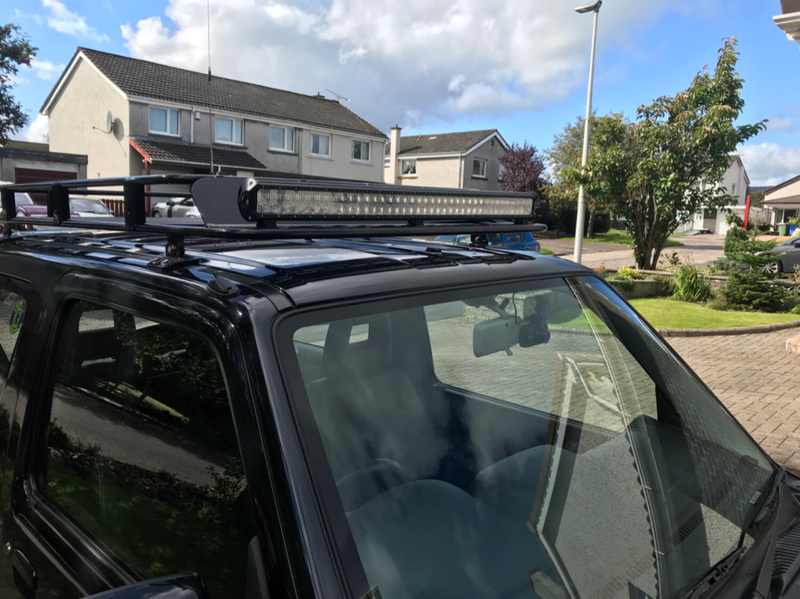 I’ve trial fitted my new light bar. I’ve stuck a wanted ad up for an old aerial base is anyone has one going cheap cheap. Last edit: 13 Sep 2018 23:52 by NineCherries. Jjbradshaw1 wrote: Just got my Jimny back from a five month MOT, can’t complain when the work is free but still. A new front screen, new pads, discs, 2” lift, adjustable panhards, 8” wheels, 235/75 tyres and a service later I’ve got her back. Only problem is it’s now too tall for the dog to jump in the back! Question; to fit a larger wheel on the back door to match the other 4 do you need to modify the mount or strengthen the door hinge? What do you think to the raptor roof rack. Did you have to modify to fit? What's the quality like. Really pleased with it, super easy to fit it took me and a friend about 10/15 mins with no modifications necessary. Fitted some Hella rallye lights to it the other day with no issues. The quality seems very good, paintwork is tidy and it feels pretty robust. I did buy mine second hand and the gentleman I bought it off had replaced the bolts that came with it with some Torques bolts to stop it getting nicked easily which isn't a bad idea. 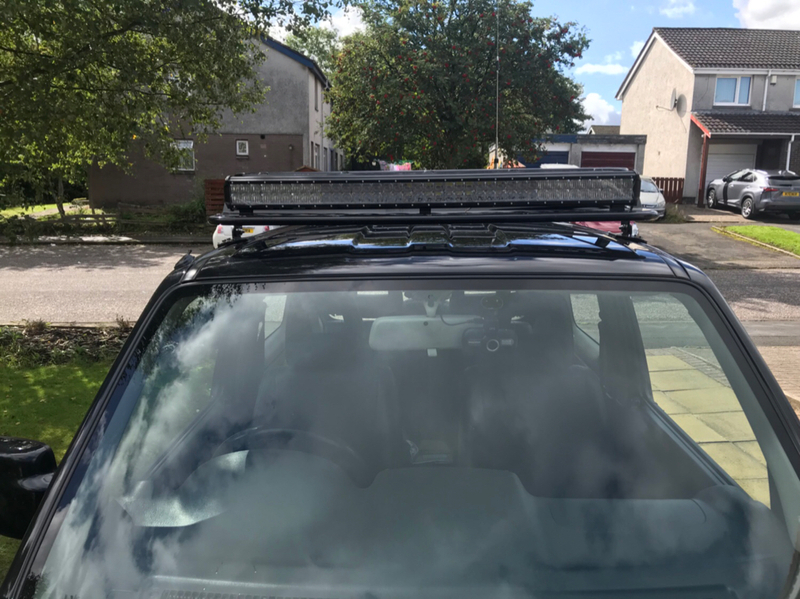 The only thing it is missing is some rubber sheet to go between the roof and the rail itself so as not to damage the roof paint/dent the roof from tightening the rack in. I didn't have any on me and was impatient so used some laminate floor underlay cut to size, not ideal but it does the trick. This afternoon oi ave bin mosly fytin wun ov moi kingpins too a stanstil. Grrrr! Finally got the wheel bearings replaced and only after undoing all but 1 bolt on the passenger side realised on the drivers side that I don’t need to remove the hub and king pins etc just the bit with the wheel bearings in comes off....doh!! 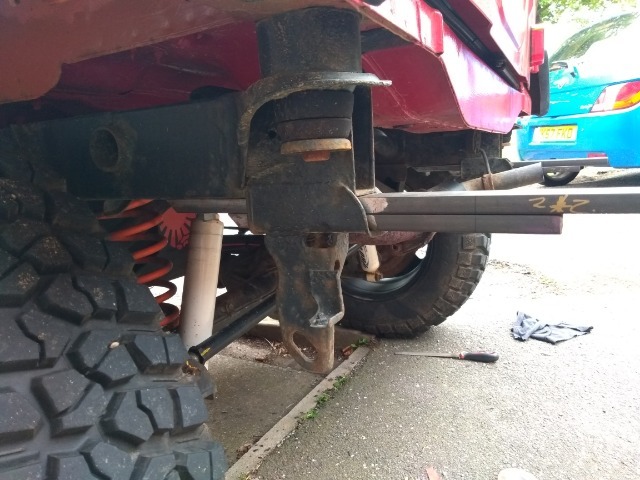 Took ages to get the steering link arm back in as when hammering it out the nut decided to mishaps and stick onto the threads:( but finally did it...one but left to tighten and 1 wheel to put back on if only my 2 year old would either help or let me do it I’d be happy! 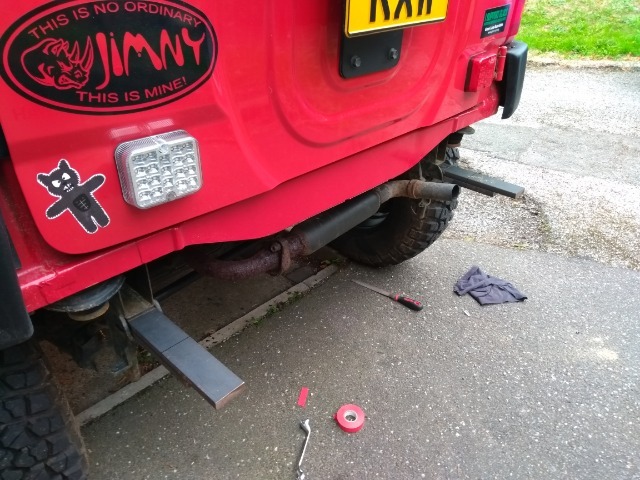 New rear monroe adventure shocks with new zinc plate bolts fitted yesterday. Engine, diff and gearbox oil changed. Passed MOT this morning with no advisories. You've got to love the jimny, I love series landrovers too but with the Jim the reliability has been very good. New track rod ends for the tie bar. 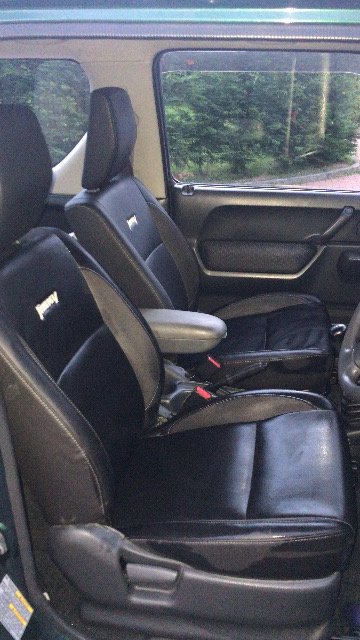 Picked up some 2016 leather seats off the Bay and fitted them to my 05 Jimny. Gave it a good hoover and cleaned all he plastics while I had the seats out too. Looks like a completely different car inside now, very happy with them. My favourite thing about Jimny is that they’ve barely changed in 18 odd years!